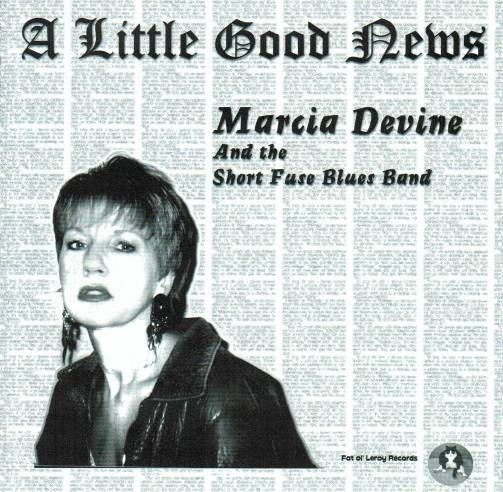 Marcia Devine and The Short Fuse Blues Band play sophisticated blues, penned mostly by the Devine Ms. M herself, while the well-balanced Fuse is in step with Devine every inch of the way. When the sax or piano is in the spotlight, the music tends to take on a New Orleans flavor, but a variety of styles are carried out here with great precision. Marcia invests a full measure of personality into her vocal performances, whether the tune is sultry, hip, or focuses on a smoldering, after-hours feel. She is a passionate powerhouse vocalist, prolific songwriter and a dynamic performer. She will rock you, make you laugh and cry, all at the same time. This one comes highly recommended.